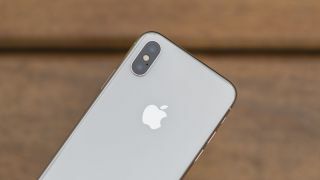 The iPhone X and iPhone 8 Plus already have dual-lens cameras, but there’s evidence that in future Apple might be able to achieve some of the same things with a single lens, which could perhaps be used on lower-cost models, or on the front-facing camera, which is still single-lens on all Apple’s phones. The evidence takes the form of an Apple patent, which details an ‘image sensor with in-pixel depth sensing’. As ever with patents it gets rather technical, but essentially the system could form photo detectors in two pixels, which could then be used to gather information, such as depth. It’s a similar system to what Google has used with the likes of the Pixel 2, and could be used to better allow a single-lens camera to create the bokeh effect in Portrait Mode, as well as potentially benefiting HDR mode. As ever, patents don’t always turn into anything, and as Digital Trends (which dug up the patent) notes, this is a continuation of previous patents dating back to 2013. That suggests that we may not see this come to fruition for a while, but also shows that it’s something Apple is continuing to think about and possibly work on. We wouldn’t expect the iPhone XI or iPhone 9 to use this camera tech then, but it might be integrated one day.